A button for connection to a logic input for opening a door inside a building. External RFID card reader for connection to PC using a USB interface. Suitable for system administration and adding 125kHz cards using a web interface or the 2N® Access Commander application. It reads the same types of cards as 125kHz card readers in 2N Helios IP intercoms. It reads the same types of cards as 125kHz card readers in 2N Helios IP intercoms. The Proximity Card is used with the 2N Helios Vario, Uni and Force IP-addressable Door Entry Systems when fitted with an internal or external Card Reader. Ideal for fast, secure, code-free for access by staff or residents. The IP Proximity Fob provides contactless door entry to buildings equipped with a 2N Helios Vario Series Intercom/Door Controller fitted with an optional IP RFID Card Reader. Supports proximity card door entry for 10 to 999 users depending on Vario device firmware versions. A handy add-on that significantly enhances door entry security as it prevents tampering with the intercom and forced opening of the lock. Does not require an additional poer supply. Installed between the intercom and the electri lock. Only a valid openingcode from the intercom can open the door. Protective roof for 2N Helios IP or analog door communicators. 2N recommends the use of the protective roof for all outdoor installations. The 2N 916010 Access Unit is a contactless access control unit which allows for access to electronically secured doors using an RFID card or NFC enabled smart phone as the user ID device. The 2N Indoor Touch multifunctional communicator, with an Android operating system, provides audio and video communication with 2N Helios IP intercoms via SIP 2.0 protocol. It is intended for use in interiors, where it is very simply fitted on the wall in a room. It offers simple and intuitive control using a 7 touchscreen with high definition and energy saving mode. An integrated microphone and speaker for effective communication with visitors and multi-coloured LED status indicator, come as standard. The 2N Helios IP Manager is a software tool for the collective administration of all intercoms in the network. It will be particularly appreciated by those managing large installations, as it allows you to collectively set up user access rights, create virtual user groups and access zones. The application is an invaluable aid in reating more complex access systems. At the same time, it enables you to back-up intercom settings and copy settings between entry units. switching up to 48 V / 2 A.
Standalone IP device which can be controlled by HTTP commands sent by Helios IP intercom, which can thus control devices on unlimited distance. The 2N Helios color video camera kit contains all necessary items for additional upgrade of your door communicator. It contains an electronic camera module, movable hinge and the connection cable for the camera and the communicator s main board. The video camera is adjustable both vertically and horizontally due to the movable hinge system. In order to configure the camera use the appropriate connectors (jumpers) provided in the kit. The 2N Helios IP Force is an exceptionally sturdy IP intercom that will ensure you effortless communication with the people coming to your door, in combination with reliable security for your building entrance. It supports voice and video communication using the SIP protocol and can deal with the most demanding conditions. Good to cover the edge of the intercom in flush or plasterboard installation. A stabilised power supply has to be used if the Ethernet (PoE) power supply is not available. For power supply of intercom via ethernet cable when PoE switch is not available. For external power supply of the lock with 12V AC voltage. 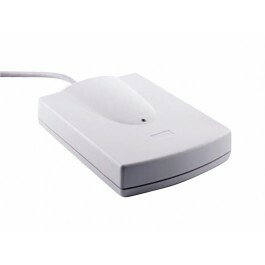 The reader module is designed for simple access control/attendance registration applications using chip cards. With its design it is suitable to be built in the mechanical part of 2N EntryCom door entry systems, and it therefore allows easy extension of the door entry systems adding the chip card reader function. This module can be built in directly only in door entry systems without numeric keypad. For door entry systems equipped with numeric keypad, use the 2N APS mini EntryCom set module. Sophisticated software functions enable the 2N Helios IP Audio Kit to be set up so that it not only enhances your device s features, but also, in conjunction with your device, provides the customer with high user value. Communication takes place through a SIP 2.0 protocol, which is standard for VoIP telephony. In addition, with SIP intercoms you can also take advantage of cheap internet calls or connection via an IP PBX. Like other products in the 2N Helios IP range, the Audio Kit is compatible with global manufacturers PBX. The compact module has a range of interfaces that enable easy connection of buttons, a keypad, signal LEDs, a microphone and speaker, as well as earphones. There are also universal input and output sockets to, for example, control lights or an entrance gate. 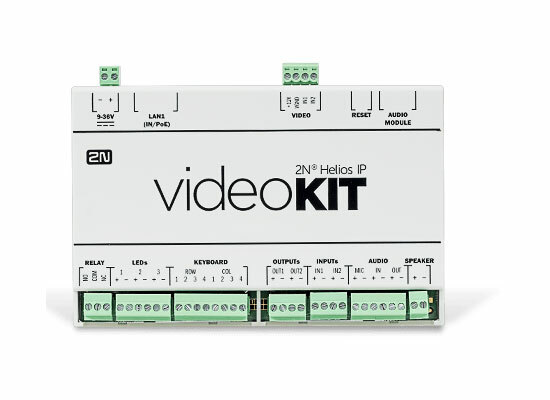 The 2N Helios IP Video Kit is a compact module unit intended to enhance any OEM with reliable video monitoring. In addition to video surveillance it will enhance functionality to include audio communications, remote monitoring and control. 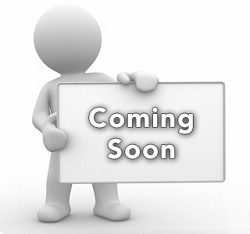 The Helios IP Microphone and Speaker kit consists of 1 x microphone and 1 x loudspeaker. Both with self-adhesive pad. Microphone Adhesion surface 25x25 mm. Microphone Must be protected from water penetration. Must be protected from water penetration.